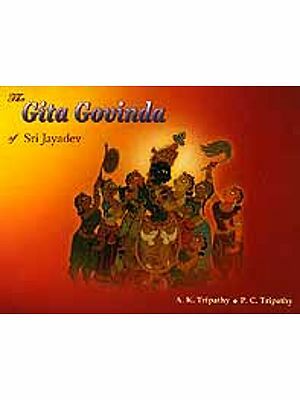 This book is a modern revaluation of the central themes of the Bhagavad-Gita Gita in dramatic form. 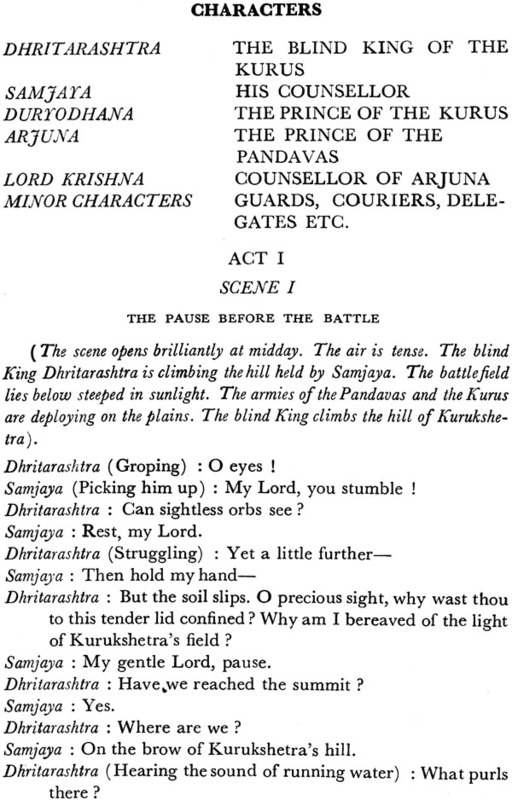 It consists of One Act and eighteen scenes, which substantially cover the eighteen chapter of the Gita. The battle of Kurukshetra is replaced by scenes from World War II. It is written in the heightened languages of poetry rising to inexpressible beauty and majesty. The Author, a direct descendant of the Prophet Muhammad, went to England in 1909 at the age of seven and had his education wholly in England. He entered the Dragon Preparatory School at Oxford; beginning the Greek language at the age of eight and the Latin language at the age of nine. Then he entered Harrow Public School at the age of thirteen and continued the study of Greek and Latin till the age of eighteen. He joined Oriel College Oxford completing in Greek and Latin the highest course in the classical language called "Literae Humaniores". He joined the English Bar and practiced from 1925 to 1957 in the High Court of Patna and the Supreme Court. He was appointed standing Counsel of Bihar in 1946. He renounced the legal profession and joined the Sri Aurobindo Ashram in 1957. In 1937 he published "The Poetry of the Invisible" through Allen and Unwin. Later he published "The Folklore of Ancient Greece" and "Scenes from Indian Mythology" through Macmillan and Co. His present publications the "Savitri Series", "Savitri Unveiled", "Savitri Speaks" and "Savitri Explains" are about to go to the press. The English language is the Author's Mother tongue. 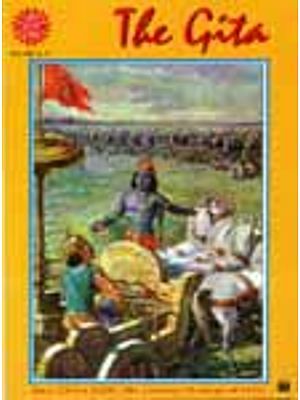 The knowledge of three great language-Greek, Latin and English has given to the present book on the Gita a touch of the classics. The Author has traveled nine times round Western Europe and has given lectures on poetry throughout England and India. The dramatic approach. 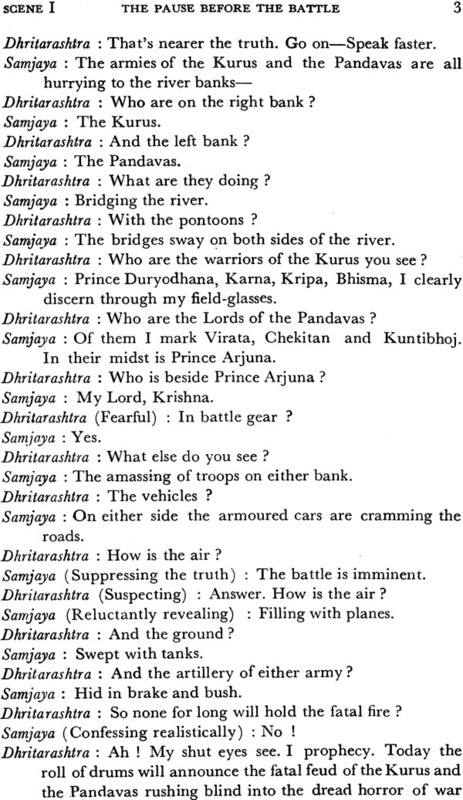 The two planes of the dramatic action of the Gita. The action of the Paramatma. The action of the Atma. 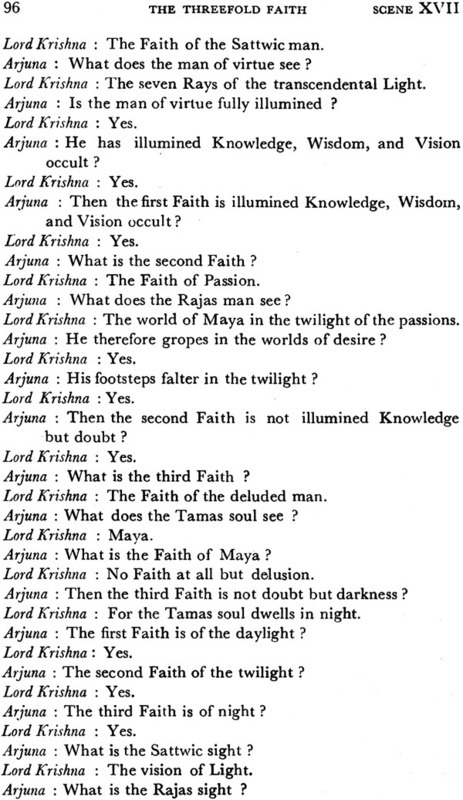 The action of the Jiva-Atma. The action of the Non-Self. The Upper Sphere of the Will. The Lower Sphere of the Not-self. The Laws of the illusory fields. The Law of Maya. The Law of periodic Manifestations. The Law of the Gunas. The Law of Karma. The Law of Rebirth. The Law of the Releases. The dramatic characters of the Gita. The external action of the Gita. 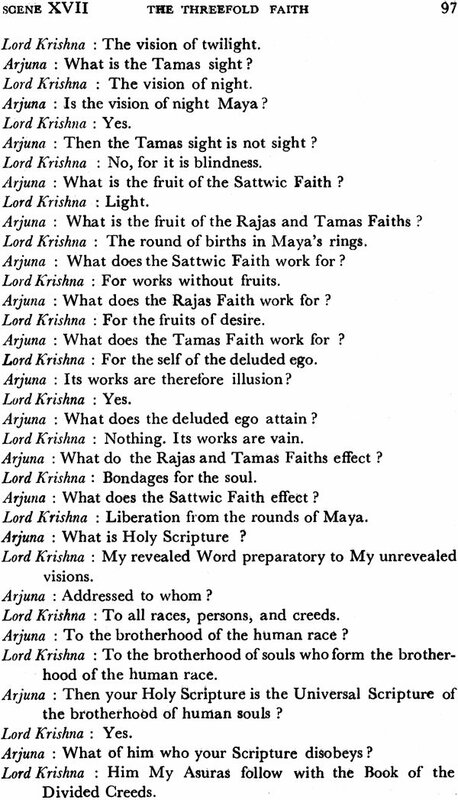 The internal action of the Gita. 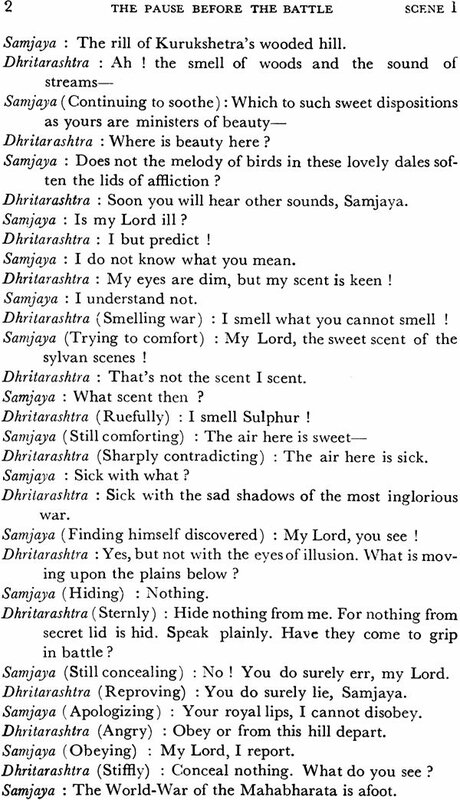 The dramatic defect of Arjuna. 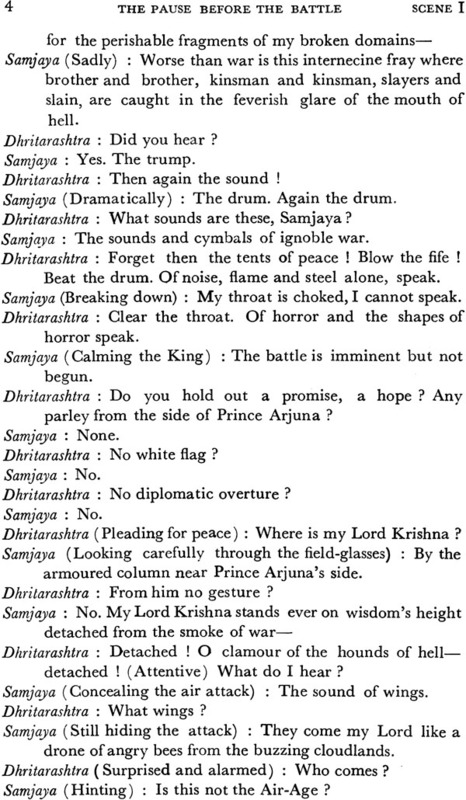 The dramatic action of the Gita. 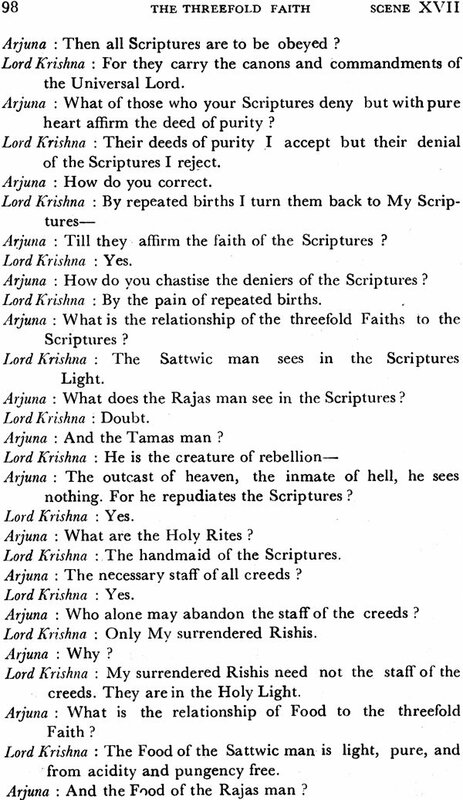 The dramatic crisis of the Gita. The dramatic reversal of the Gita. The dramatic finale. Tragic pity and tragic terror. The ingredients of drama. The present drama. Prologue. Act. I. Epilogue. The message.